Successfully Added 1-Din In Dash Car DVD Player - Detachable Screen + Subwoofer Out to your Shopping Cart. Single Din car DVD player and entertainment center with a fully detachable front display for security and subwoofer OUT for superb bass capability. Other stand out features include a built in TV tuner for analog TV reception, a high definition 4.3 Inch TFT screen with full touchscreen control, Bluetooth pairing with mobile phones and including A2DP, and the ability to play digital media such as MP3/4 as well as DivX and iPod video. A great luxury item for your car with Chinavasion's signature low wholesale price that only gets better the more you order. 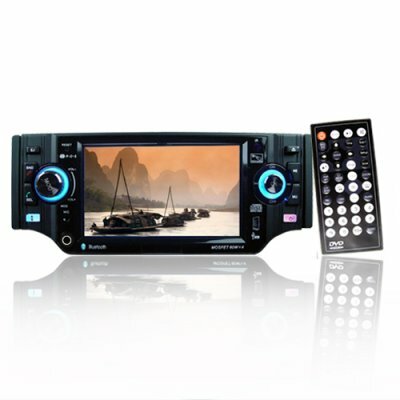 Log in to see all the discounts you can get on this touch screen car DVD player, and all the other great items on Chinavasion..